I’m pretty sure it’s official. I’m going to Asia in 2017. This is the Wikipedia picture of the skyline of Kuala Lumpur (KL). This city is usually my base city when I’m wandering in Asia, primarily because of the cheap air connections into and out of the city. A person can always get from one place to another by air, but they can’t always do it cheaply. There are lots of flights leaving KL for locations throughout Asia that are very inexpensive. Plus, I like this city. A lot of backpackers pass through the hostels and it’s a cheap place to reside while I rest up between sub-adventures. This entry was posted in Travel and tagged Asia 2017, Kuala Lumpur, Malaysia on February 24, 2016 by Steve. 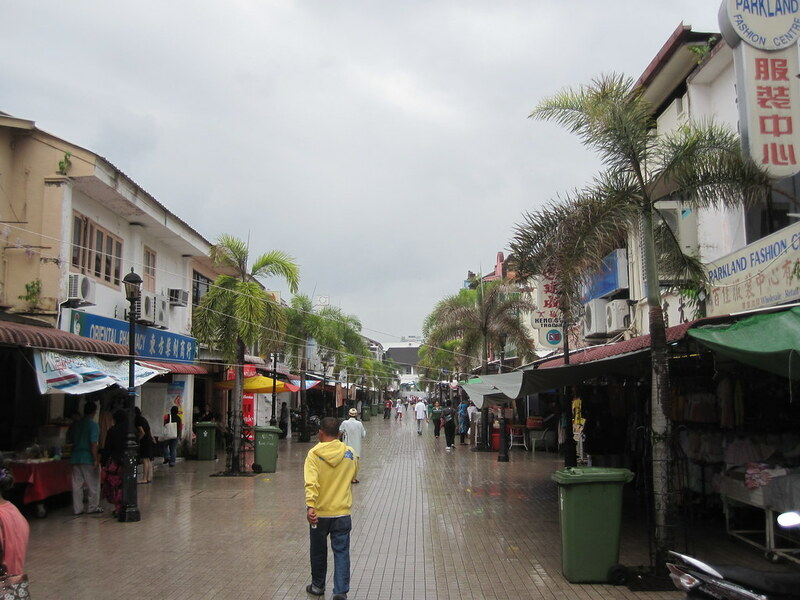 It was India Street in Kuching, Malaysia. You knew when you arrived at the lcoation that you had hit the old part of the city market area. It was also very close to the bus stations, which weren’t really stations at all. They were just a bunch of buses parked in the same area that picked up passengers. Strangely, the bus system seemed to work really well without a lot of formal administration. I rode it several times. Notice how India Street appears to be wet. That’s because it was. It rained everyday that I was in Kuching. Sometimes a lot. Sometimes a lot for a long time. It cut into my tanning time. And my touring time. 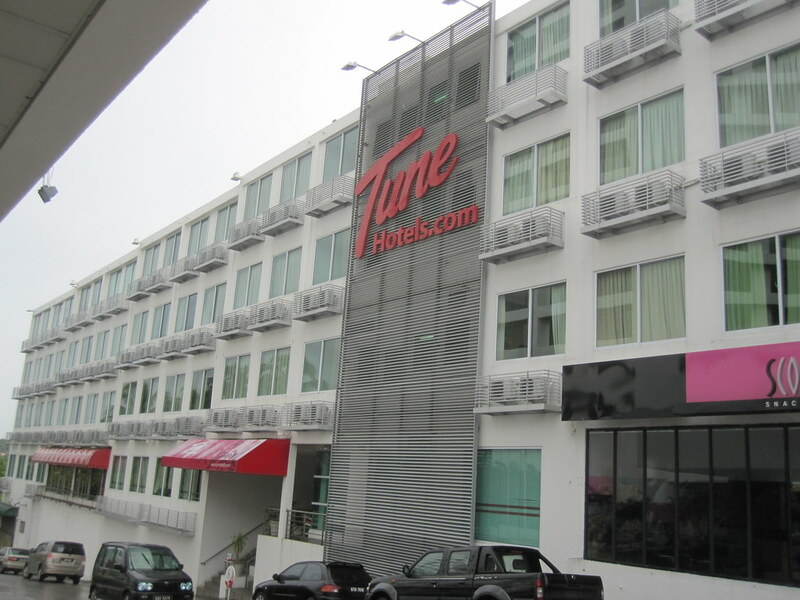 This entry was posted in Travel and tagged Kuching, Malaysia on March 1, 2011 by Steve. 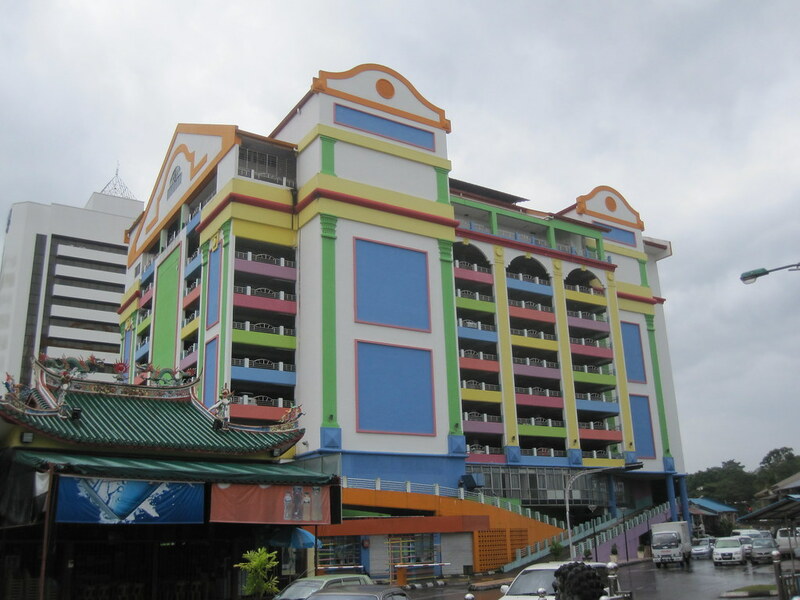 I think Malaysians know how to build parking garages. Don’t you? This entry was posted in Travel and tagged Malaysia on March 1, 2011 by Steve. 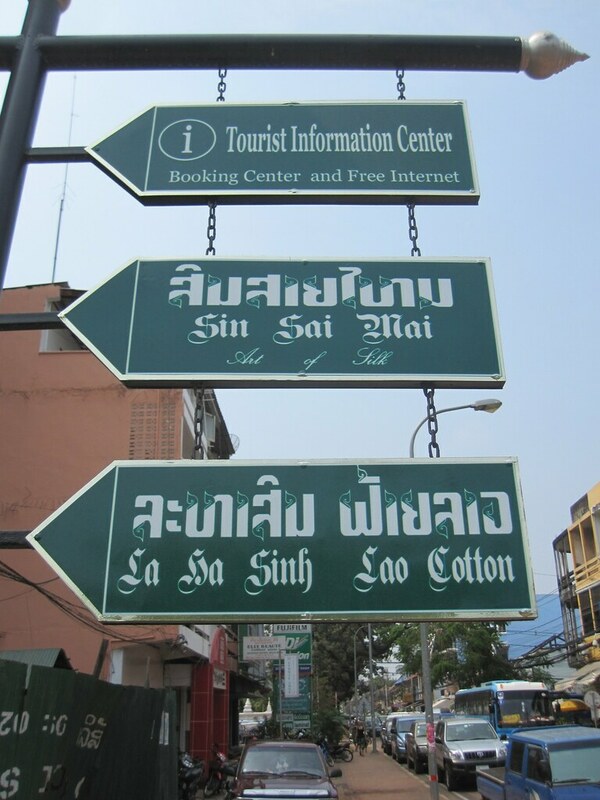 In Vientiane, Laos I ran into the only street signs with any regular postings in all of my trip, besides Malaysia. 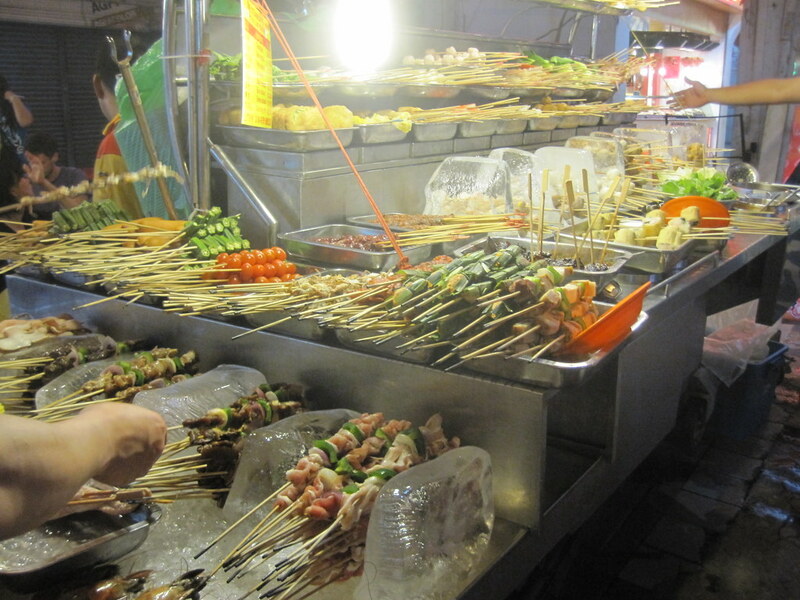 This entry was posted in Travel and tagged Laos, Malaysia on March 1, 2011 by Steve. I would have thought it was ketchup. But it’s not. In many countries in SE Asia, when you see a push-pump out in the condiments section, it doesn’t contain ketchup, it contains chili sauce. Ketchup you have to ask for. So is the chili sauce hot? You’re kidding, right? 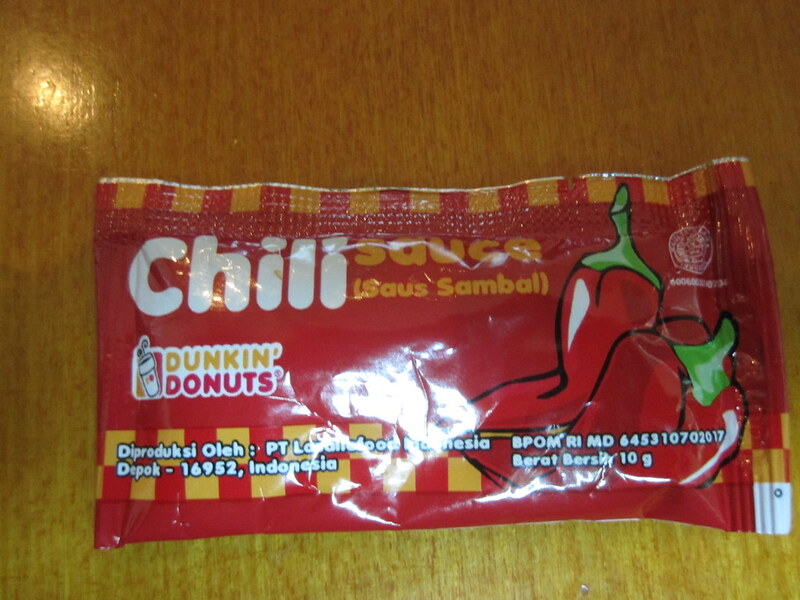 You’re asking me if the chili sauce is hot in places like Thailand, Indonesia and Malaysia where you can’t get bland food? Yes, it’s hot. I usually cover my nachos in jalapenos back home, but I’ve had a couple of situations in SE Asia when I really regretted taking a bite of food, because it contained some of the hottest chili peppers I’ve ever had the displeasure of tasting. This entry was posted in Travel and tagged Asia, Indonesia, Malaysia, Medan, Sumatra, Thailand on February 16, 2011 by Steve. Mosque – Kuala Lumpur "Masjid Jamek"
Masjid Jamek is supposed to be the oldest mosque in Kuala Lumpur, Malaysia. I can’t say that it is or it isn’t. I can say that it was supposed to have been built around the turn of the century in the early 1900′s. I can say that I like the way it sits, among the palm trees. It is very close to the center of the city. From here. I can easily walk to lots of other tourist attractions. Plus, there’s a subway station right beside the mosque. 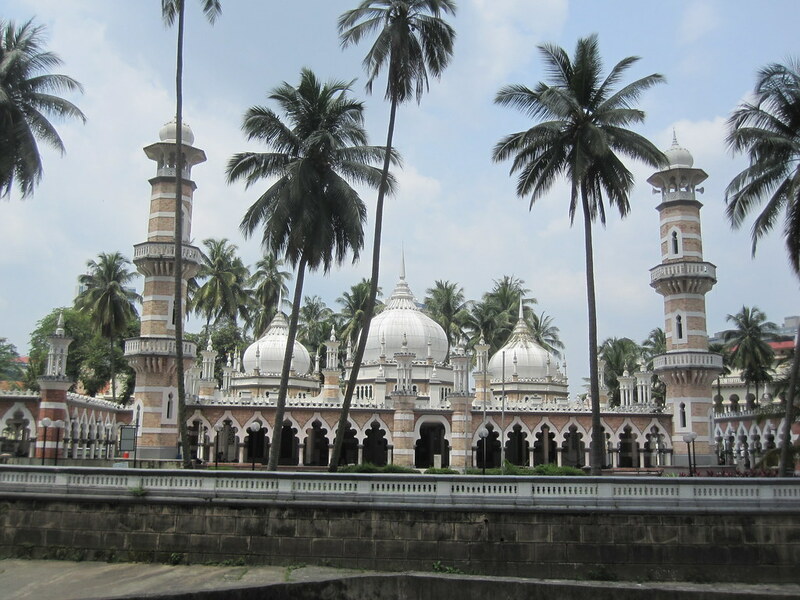 This entry was posted in Travel and tagged Kuala Lumpur, Malaysia, Mosque on February 16, 2011 by Steve. 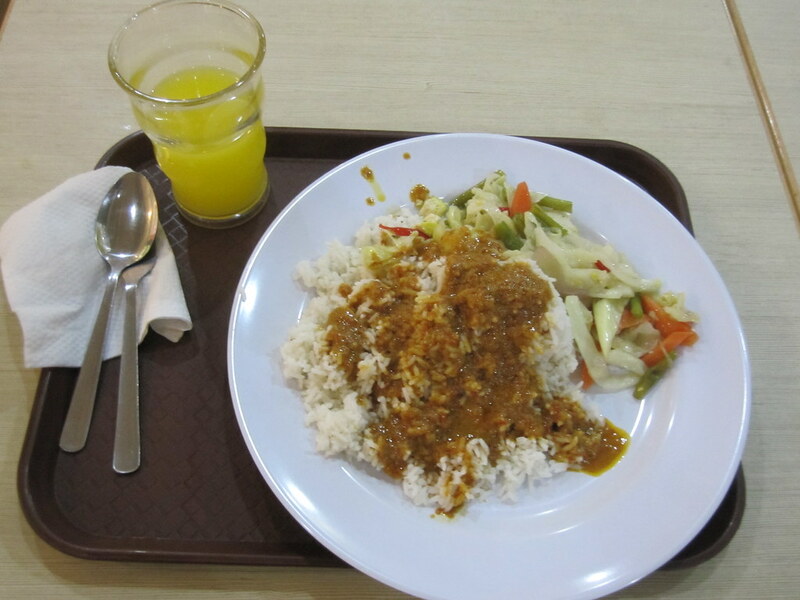 It was my second dinner in KL. This time I went a little more into my Epicurean Mode. I had extra rice and added some veggies. The sauce on the rice was supposed to be less spicy than the sauce I had the first day. I’m learning that I need to dip my own sauce. Malaysians don’t really understand the English term "less spicy" as well as I would like. The juice is mango. The cost was a staggering $2. This entry was posted in Travel and tagged Kuala Lumpur, Malaysia on February 6, 2011 by Steve. 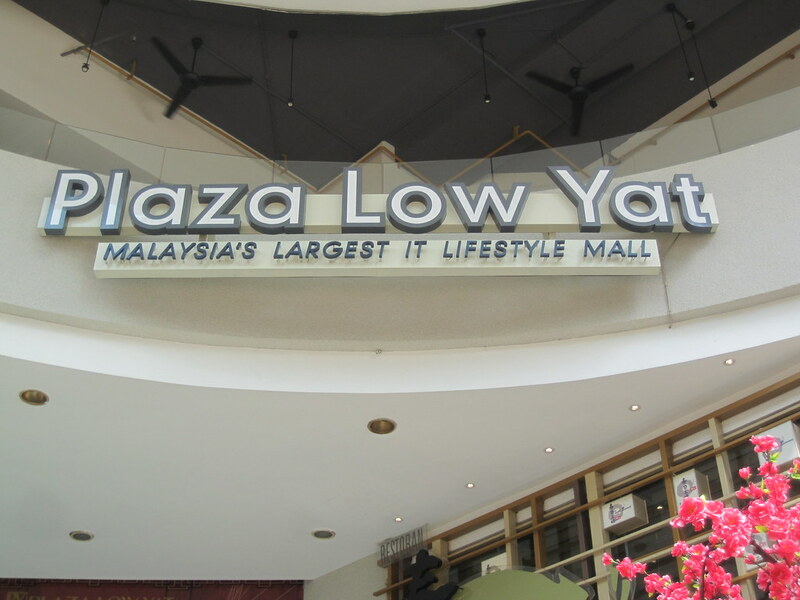 The sign says that it’s Malaysia’s largest IT lifestyle mall. That means it has seven floors of electronic stuff. I’ve never seen so many laptops, cameras, cell phones and other electronic gadgets assembled in one place for sale in my whole life. The place was huge. I got lost once trying to find an escalator or elevator to get out of the place. It was so upscale I was embarrassed not to be carrying a smart phone. This entry was posted in Travel and tagged Malaysia on February 6, 2011 by Steve.